โลเปซกล่าวว่า "ที่ประชุมรัฐมนตรีจะสรุปองค์ประกอบหลักของ RCEP เพื่อให้เกิดผลลัพธ์สำคัญภายในปี 2560 ซึ่งการเจรจาได้ถูกกำหนดไว้อย่างชัดเจนว่าจะสรุปผลให้ได้ภายในสิ้นปีดังกล่าว"
AFTER the deserved 50th anniversary celebrations, Asean needs to take a long, hard look into the future, and to be ready for it. The trouble is the future is here. And Asean might just fall short. In my contribution to the book “Asean FutureForward: Anticipating the Next Fifty Years”, published by the Institute for Strategic and International Studies, I highlighted two developments that threaten to tear up the script on Asean’s future shape. Leaving aside the definite rise of China which will, planned or otherwise, rewrite and disrupt assumed intra-Asean relationships, I would like in today’s column to draw attention to the other deterministic development – Digitisation. Now popularly dubbed the Fourth Industrial Revolution, the Digital Economy is already upon us, while in the Asean narrative its greater economic integration will attract foreign manufacturing investment based on low labour cost in such destinations as Myanmar, Indonesia, even Vietnam. G rowth, technology and developing the youth should be regarded as three key issues to drive the Asean community amid fast-changing global challenges, former Asean secretary-general Ong Keng Yong said. 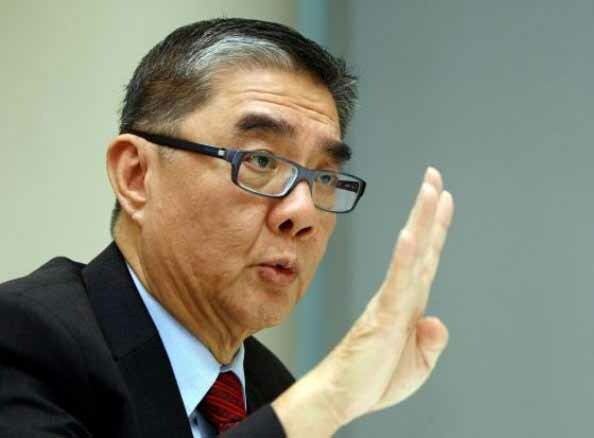 Economic growth was critical to ensure political stability, Ong said, adding that a rising middle class across Asean had seen 5% growth since last year. That growth, which Ong expected to top 7%, could be furthered by integrative mechanisms, he said. The most prominent example was the Asean Free Trade Area pact signed in 1992, followed by the formal debut of the Asean Economic Community, which has helped to realize tariff reductions and facilitated cross-border trade, investment and the transfer of capital, CNA reported. Asean should also keep working on the Regional Comprehensive Economic Partnership, a proposed FTA among Asean member countries as well as Australia, China, India, Japan, South Korea and New Zealand, which all have existing FTAs with Asean. Asean rising: Can the region be transformed into one cohesive community? The Association of Southeast Asian Nations (Asean) is celebrating its 50th year. Somehow, the Association has overcome its Cold War beginnings. It was established in 1967 as an anti-Communist bloc at the height of the US war campaign in Indochina. Today, the socialist-oriented states of Cambodia, Laos, Myanmar and Vietnam (CLMV) are now ironically part of the Asean, which includes the original states of Indonesia, Malaysia, Philippines, Thailand and Singapore. The 10th member is oil-rich Brunei. In the last two and a half decades, the focus of the Asean has been the transformation of the Southeast Asian region into one economic bloc. As repeatedly written in numerous Asean declarations issued in the annual Asean Summits, the goal is to have one Asean Economic Community (AEC) characterized by the free flow of goods, free flow of capital/investments and free flow of skilled labor. Accordingly, Asean shall become one production base, one regional market, one borderless economy. Fund management guru Mark Mobius has given the 10-member Association of Southeast Asian Nations (Asean) a grade “A” for its integration efforts in the last 50 years and is hoping that the regional bloc would next move toward a common currency and banking system. In a blog dated Aug. 29, Mobius, who is executive chair of Templeton Emerging Markets Group, said that in the last half a century, Asean had been successful in cooperating to improve regional trade and investment as well as tourism. © Copyrights 2015 :: CENTER FOR ASEAN STUDIES - All rights reserved.